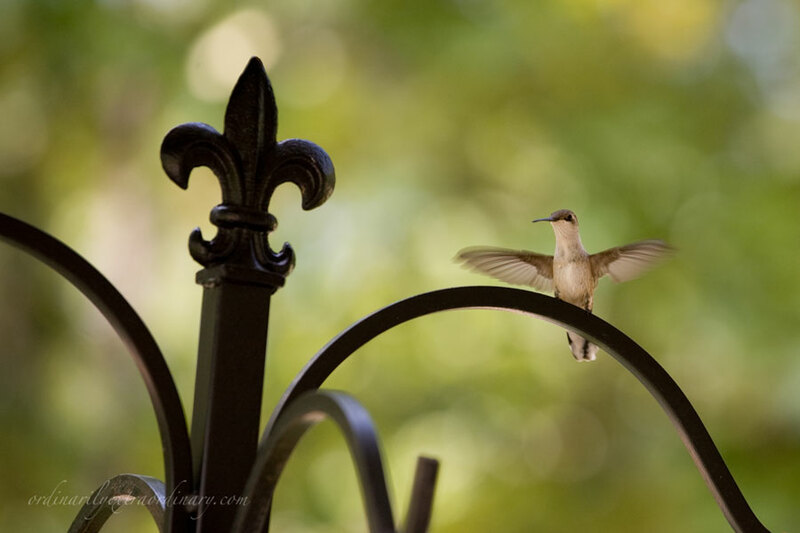 Hummingbirds flit around the feeders. Chasing one another, especially the red chested one (the male perhaps), away from the sweet nectar. Swooping so close at times I wonder if they will fly right into my head. My daddy will refill the feeders for a third time later that afternoon. He sits watching them. Never tiring of their antics. Later hubby and I walk around campus. Blue sky deepening as the sound of the Marching Southerners permeates game day. “I miss walking around campus,” he says. “Me, too,” I reply. Fifteen years since we spent our last Fall on campus. Fall will always be my favorite time to go back to the foothills and The Friendliest Campus in the South. It never seems like Fall until we make it back to a football game. At least one during the season. Today just snippets of an Autumn weekend. Continuing to count the gifts. Grace. Eucharisteo. Joy. Your list brought back fond memories of fall. I live in S. Florida so we don’t really get fall weather. Thanks for sharing.